She is involved in advocating for equitable access to new brain tumour therapies; encouraging the establishment of brain tumour patient and caregiver support groups in countries where they don’t yet exist; and raising awareness of the challenges associated with this devastating disease. She serves as one of two patient advocates representing Rare Diseases Europe (EURORDIS) on the European Commission’s Expert Group on Cancer Control and is on the organising committee of Rare Cancers Europe (RCE). She is Vice-Chair of the European CanCer Organisation Patient Advisory Committee (ECCO PAC) and participated in the British Neuro-Oncology Society’s National Guidelines Group for Rare Brain and CNS Tumours and on the Rare Disease UK Working Group on Patient Care and Information. She is also a member of the Patient Advocacy Working Group (PAWG) of the European Society for Medical Oncology (ESMO) and a member of the Guidelines and Reported Outcomes Committee of the US Society for Neuro-Oncology (SNO). 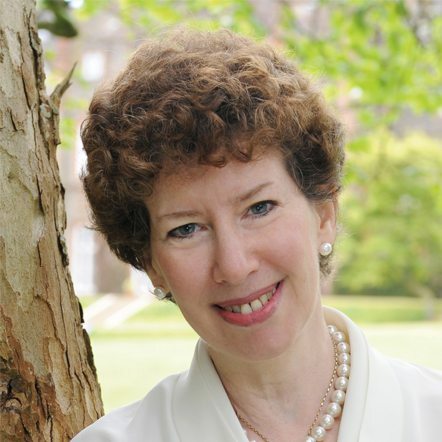 Kathy is a founder member and former Director of Cancer52, the UK umbrella for 80 rare cancer organisations, and is a member of the NCRI (UK) Brain Tumour Clinical Studies Group sub group on Palliative and Supportive Care. Kathy is also the consumer representative for the Cochrane Neuro-Oncology Group (UK) and is the patient advocacy representative on the Council of the British Neuro-Oncology Society (BNOS). She serves on the advisory board for the European Organisation for Research and Treatment of Cancer (EORTC) SISAQOL initiative, a multi-disciplinary consortium which aims to develop consensus on international standards for the analysis of health-related quality of life and patient reported outcomes data in cancer clinical trials. Kathy graduated from the European Patients’ Academy on Therapeutic Innovation (EUPATI) and is a EUPATI Fellow. She was Co-Chair of the Project Advisory Board for EUPATI. Kathy also serves on the patient advocacy advisory boards of a number of pharmaceutical companies. She sits on the Executive Committee of the European Cancer Concord (ECC) and on the All.Can initiative which engages policymakers on the need to improve the efficiency and optimisation of cancer treatment, care and support, focusing on better outcomes for patients. Kathy, an ex-freelance journalist, edits the IBTA’s annual magazine, Brain Tumour, of which approximately 13,000 copies are printed each year and distributed for free to recipients in 112 countries and at national and international neuro-ocology and cancer conferences. Kathy and her husband Gordon’s son, Colin, was diagnosed with a brain tumour in 2004 at age 24 and passed away, at age 32, in August 2011. She cites her son’s “incredible courage, determination and fortitude” as the driving force and inspiration behind her involvement in the international brain tumour and rare cancer community.